Note: No big spoilers here, at least nothing beyond what’s shown in the trailers for Star Wars: The Force Awakens and what occurs in the first 15 minutes of the film. The essential psychology of the Star Wars saga is mindfulness. “Using the force” is all about embracing the present moment. That’s what Yoda taught Luke and it’s something Anakin never picked up from Obi-Wan. Mindfulness continues to be a part of J.J. Abrams’s Star Wars: The Force Awakens. I can’t get into specifics because things would get spoilery, but it’s safe to say the climax of the film is a moment of mindfulness. We also see new characters develop meaning in their lives, just like Han Solo did in the original trilogy. The way The Force Awakens honors the past mythology (and psychology) of Star Wars while also refreshing it for a new generation is a big reason why I’m a fan of the film. My favorite thing about The Force Awakens is how it approaches good and evil. Star Wars has always been a fairytale about people being tempted by the dark side. What’s new in this film is seeing people being tempted by the light side. That’s why John Boyega’s Finn is a compelling addition to the Star Wars universe — he’s a stormtrooper who disobeys an order to kill innocent civilians. In doing so, Finn teaches us that we don’t need supernatural powers to become a hero. Could this happen in real life — an average person standing up against an evil organization, risking their life, all to help innocent people? Yes, absolutely! Here’s how. Before we look at Finn’s heroism, we have to understand why his actions are so heroic. The First Order, and the Galactic Empire before it, are basically space Nazis. Like real Nazis, the villains in The Force Awakens use everything we know about social psychology to create an organization that is built on following orders and making it easy to hurt others. How does The First Order do this? By manipulating one of the most basic human desires — our need to fit in. In the classic Stanley Milgram experiment on obedience to authority (and a recent follow up), most everyday Americans followed orders even if it meant hurting someone else. Like the Nazis during the Nuremberg trials, Americans in this experiment didn’t feel responsible for their actions because they were “just doing what they were told”. The stronger the authority, and the less interaction there is with the victim, the more likely we are to follow commands that harm someone else. The First Order carries out a strong obedience to authority through Captain Phasma, the woman who commands all stormtroopers. The First Order combines obedience with conformity and anonymity. This is very dangerous and “greases the slippery slope of evil” according to psychologist Phillip Zimbardo. When we’re in unfamiliar situations, we look to others to see what to do. Again, we want to fit in. If everyone is doing something that’s wrong, it becomes extremely difficult to do what’s right. People are also more likely to kill, torture, or mutilate if they feel anonymous. Stormtrooper armor makes conformity easy and eliminates anything that could identify who's wearing the helmet. This is what you need to remember — people aren't born good or evil, everyone is capable of doing good and evil. Situations can pull us in one direction or another. This is why Finn’s actions are such a big deal — he was “raised to do one thing”, follow the First Order. After a lifetime of obedience, he disobeys Captain Phasma's order to destroy a village of innocent civilians. By putting himself at great risk to save lives, Finn transforms from an ordinary person to an extraordinary hero. We’ve never seen a character like this in Star Wars. Sure, Luke has a traditional hero’s journey and Anakin’s story is a tragic fall to the dark side, but we’ve never seen a bad guy turn into a good guy. Finn, more than any other Star Wars character, brings to life the psychology of good and evil. Heroes are impulsive - they act first, think later. Heroes are more likely to tolerate danger and aren’t afraid of conflict with other people. Heroes have thought about what they might do in dangerous situations. Each of these elements of heroism fight off the psychology of evil. Acting on impulse gets around worries about fitting in. Being comfortable with conflict makes it easier to stand up to authority. Having imagined what you would do in a dangerous situation reduces bystander apathy and diffusion of responsibility — two of the biggest barriers to helping others. We see some of these qualities in Finn and more will be revealed in Episode VIII and IX. Hollywood is full of superheroes. But you and I can’t fly or lift objects with our mind. That’s why Finn’s story is so important. It shows us that heroism is normal, something any of us can do. Like Joe Darby, the U.S. Army Reservist who exposed the torture occurring at Abu Ghraib despite being embedded in a "First Order" like environment. Or Wesley Autrey, a New Yorker who jumped onto subway tracks to save a stranger. Whistleblowers Cynthia Cooper, Sherron Watkins, and Colleen Rowley who exposed fraud and incompetence at WorldCom, Enron, and the FBI. And Satwant Singh Kaleka, a Sikh temple president who died protecting his congregation from a skinhead gunman. Can a stormtrooper become a hero? Absolutely! This stormtrooper might even help others become real-life heroes. Preliminary data suggests you can increase heroism by teaching people that situations are powerful, we can grow our ability to resist social pressures, and acting when others are passive can turn you into a hero. 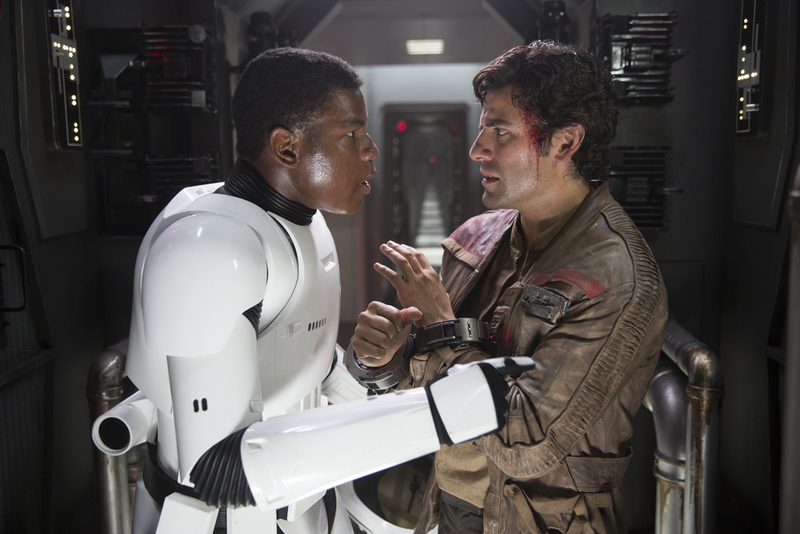 With Finn, Star Wars: The Force Awakens has the potential to help all of us begin our own hero’s journey. For some spoiler thoughts on Finn and Rey, check out my reaction to The Force Awakens. I like AV Club's criticisms of the film. Vox has a harsher critique and Mashable's got a nice defense. 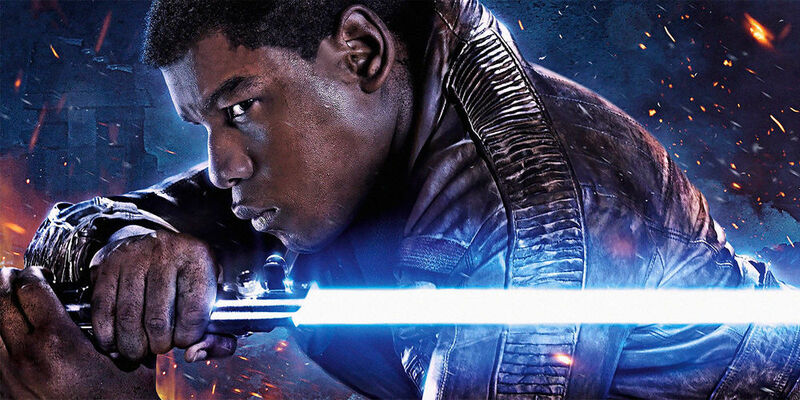 Nerds of Color also has a breakdown of why Finn is so awesome.